DesktopNow allows you to access your computer over the internet so that you are never without your important data, files and programs. 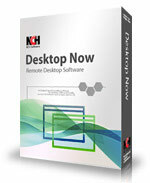 Remote desktop software gives you fast and easy access to all your important files no matter where you are. 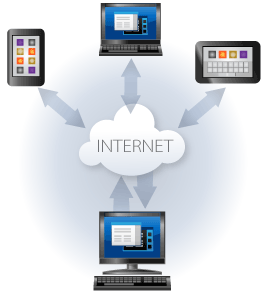 If you can access the internet, you can log into your computer and interact with your software programs and files as if you were there. Use password protected SSL to ensure a secure connection. Access your PC from anywhere at any time. All you need is an internet connection. Login with a smartphone or tablet as well as from other computers.